Vision therapy helps patients see and process information better by performing specific visual exercises with a qualified optometrist. Essentially, it’s like physical therapy for your eyes, focusing on skills like improving eye movement control and eye coordination. During vision therapy treatments, a trusted optometrist, like the ones at Eagle Vision Eye Clinic in Longmont, Colorado, helps patients better connect their brain with their eyes. As opposed to strengthening the muscles in the eyes, vision therapy helps develop neural connections which can improve a variety of processing disorders and learning disabilities. Vision therapy can help patients with attention deficit disorder, ADHD, visual and ocular motor disorders, amblyopia, accommodative dysfunctions, visual processing issues, and strabismic and non-strabismic binocular dysfunctions. In other words, vision therapy can help a person learn more effectively, drive better, enhance sports performance and perform better at work. Vision therapy is great for both children and adults alike because the neuroplasticity of the brain is not limited by age. Surprisingly, one in four children suffers from vision issues that can impact their academic success. Through vision therapy, a child discovers how to read and learn better. It can also be a complementary therapy for kids with learning disabilities and dyslexia. The goal of vision therapy is to train the eyes to work more efficiently with the brain. During vision therapy, an optometrist will utilize exercises that help develop fixation and eye movement abilities, eye focusing and aiming, hand-eye coordination and visual perception. Vision therapy addresses the underlying issues with your eyes, so the results are permanent. Your vision and visual skills are crucial components of overall success, so it’s important to schedule regular eye exams. It’s recommended that school-aged children get yearly exams to ensure their eyes are healthy and working properly. At Eagle Vision Eye Clinic, we have five highly-trained optometrists on staff who work tirelessly to help our patients achieve optimal vision. Our experienced doctors perform comprehensive eye exams, diagnose vision problems and treat eye conditions through vision therapy. During our examination process, we are not only looking for not only visual acuity but also tracking, focusing, pupillary reflexes and visual perception. This includes visual memory, auditory and visual discrimination. We develop a unique treatment plan based on an individual’s needs and perform vision training exercises from the comfort of our office. Eagle Vision Eye Clinic is your premier optometry clinic for vision therapy. 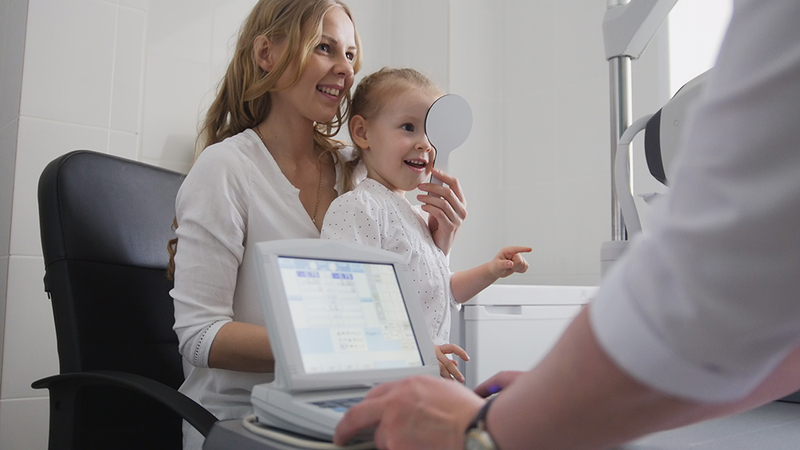 We provide your family with quality vision services and individualized care in a friendly environment. For more information and to schedule an eye exam, call our Longmont optometrists at (303) 651-2020.